Custom Printed Crepe de Chine. Digitally Printed Crepe de Chine. Meaning "crepe of China" our printed crepe de Chine fabric is a versatile, elegant, and sophisticated textile, that will give your designs a stunning finish. 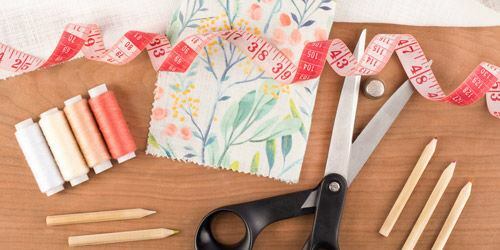 This gorgeous crepe is a lightweight fabric at 2.51oz, and will become a firm favorite for making special garments. 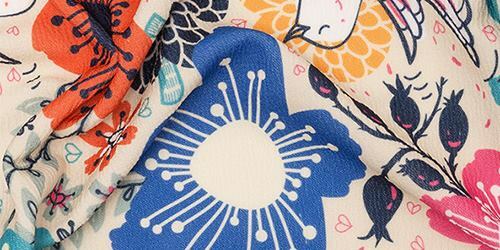 Crepe de Chine fabric is a taut textile that only has a little bit of stretch on the bias. The drape is beautiful, and this combined with the delicate crepe surface texture and exceptional print quality is sure to make it a new favorite in our custom printed fabric collection. Discover this chic material today and see what you can make. 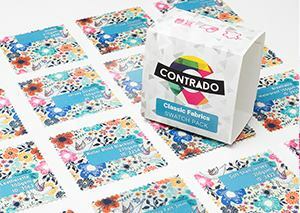 Print your artwork on our stunning crepe de Chine fabric. We use specialist printing methods to ensure a beautifully clear and permanent finish. Printed and hand-finished at the Contrado studios in London. This lightweight fabric is soft, elegant and strong. 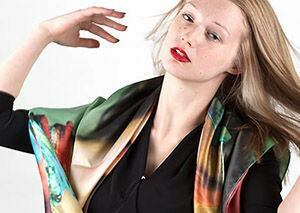 A poly fabric with just as much beauty as real silk, your designs will look exceptional printed onto crepe de Chine. The twisted filament on the weft gives this fabric a classic crepe texture. It has a lovely drape and a dry but soft handle, which is reflected on the back. It feels almost weightless when worn and has a distinct feminine air. The bright white base tone of the crepe de Chine produces rich and vibrant colors, that are more intense and strong than a silk equivalent. The matt face is exceptional for producing details. 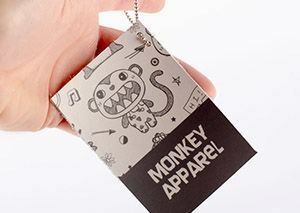 The final print is very fine with crisp lines with smooth transition of colors. Precision is clear and intricate work will show up perfectly with a show through of about 50%. This is a sophisticated fabric that is full of beauty and feminine qualities. As such, it is an ideal textile for making garments of a certain nature. 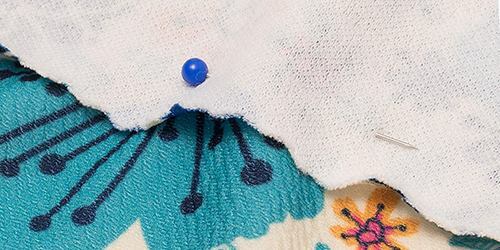 The crepe texture and taut construction makes this a lovely fabric for clothing such as elegant nightwear, lightweight nighties and chemise, pretty slips and delicate camisoles. It is also a good choice for scarf making. Great! Wonderful quality, prompt service! Good as always Excellent fabric, excellent service. What is crepe de Chine? Meaning "crepe of China," this is a fine, soft, and lightweight woven crepe. It has a slightly crisp and dry handle, while still remaining soft with a beautiful drape. It was originally made in China (hence its name) and is traditionally woven in a plain weave. Ours has a twisted filament on the weft, which gives it the crepe effect. What will my print look like on the crepe? 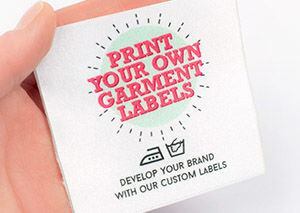 You will absolutely love how your design looks when printed on our crepe de Chine. The surface texture and composition of the fabric means that colours look exceptionally bright and bold, and details - even very fine details - are printed with absolute precision. Try printing on it today or order a test sample. What can I make with crepe de Chine? Thanks to its sophisticated and chic appearance, as well as its feminine drape, this textile lends itself particularly well to garments that match these aesthetics. Special lingerie such as slips and nighties, everyday essentials such as camisoles and even scarves. This is a taut fabric, so keep that in mind when designing these items.